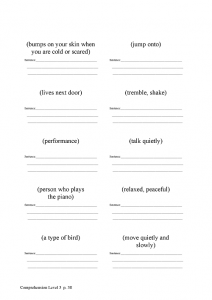 For free vocabulary games relating to these texts, download Tiny Tap. 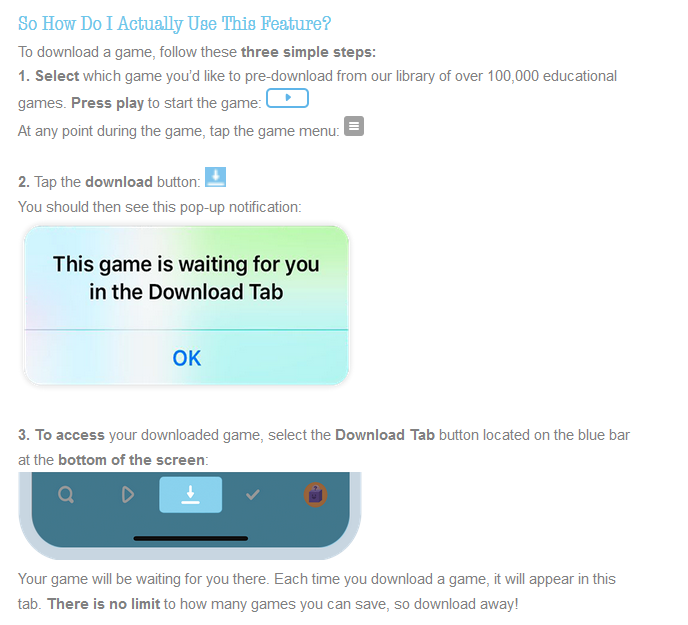 The vocabulary games are FREE so although you need to sign up, you do NOT need to pay Tiny Tap to access the games. You can also email the link to your iPad to open. Once you have opened the game you can download it to play it off-line. Click here for downloading instructions. Multiple encounters of the same word in varying contexts. Teaching associated syntactical and morphology (root words, prefixes and suffixes). Investigating synonyms, antonyms, homophones and homonyms. 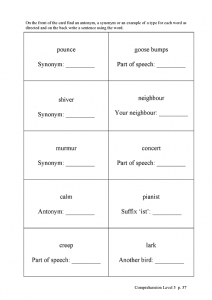 Each week the student learns the meaning and pronunciation of 20 words. 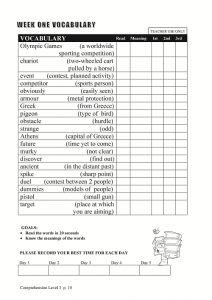 These words are used in the various reading activities during the week so the student can see the words in different context, including the addition of different suffixes and prefixes. Every day, the student completes a more in depth analysis of five words using the vocabulary cards at the end of the unit. To really reinforce this vocabulary, use the words as many times as possible in conversation with your child/students. Perhaps have a competition to see who can use a particular word the most times. Biemiller, A. (2003) Vocabulary: Needed if more children are to read well. Reading Psychology, 24(3-4), 323-335. Fisher, D., & Frey, N. (2008). Word wise and content rich: Five essential steps to teaching academic vocabulary. Portsmouth, NH: Heineman. Marzano, R.J. (2010). Teaching basic and advanced vocabulary. A framework for direct instruction. Boston, MA: Heinle Cengage Learning.